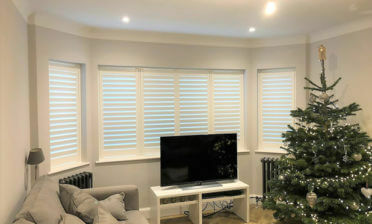 Ben and Roy were in the area of Thorpe recently to install some of shutters for a client called Michal. 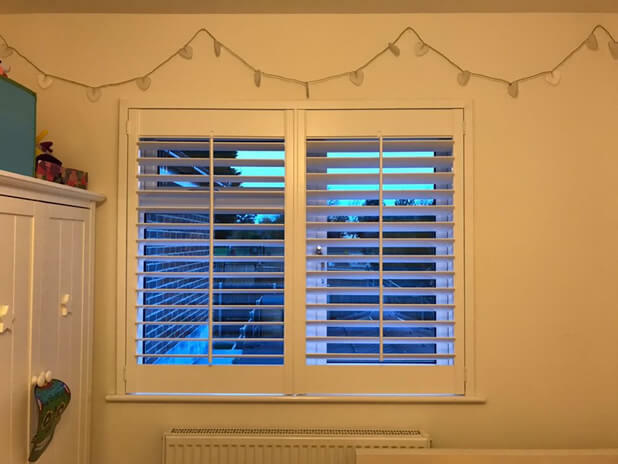 The homeowner was looking to have both children’s bedrooms and a bathroom fully transformed with plantation shutters of the same style and finish. Due to one room being a bathroom, we needed to use different materials but with our bespoke service can fully match the style and finish throughout! 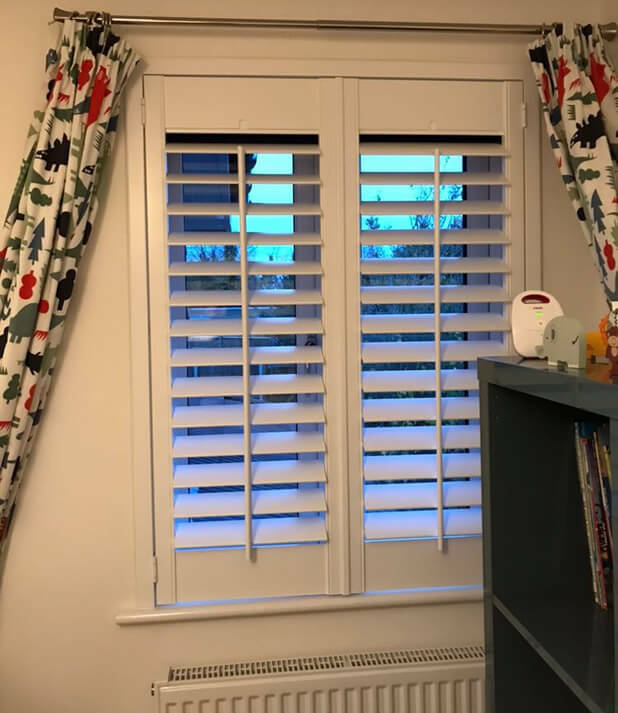 The children’s room shutters were created from our Antigua Range with the bathroom having shutters made from a 100% waterproof PVC material known as our Java Range, due to the shutters being in regular contact with moisture and water. They would also require stainless steel hinges. The shutters in the children’s rooms not only look fantastic but are easy to maintain and importantly hygienic for young children. Compared to curtains they can simply be wiped down regularly with minimal fuss helping against dust and allergens. 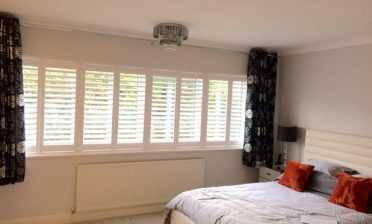 All shutters throughout the rooms were finished in a pure white paint with 76mm louvres and a centralised tilt rod system for ease of adjustment and a more traditional look. 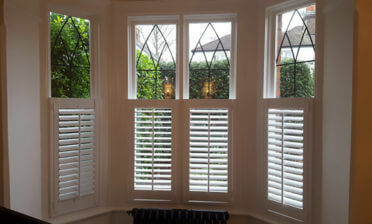 All shutters were created in full height with beaded stiles. 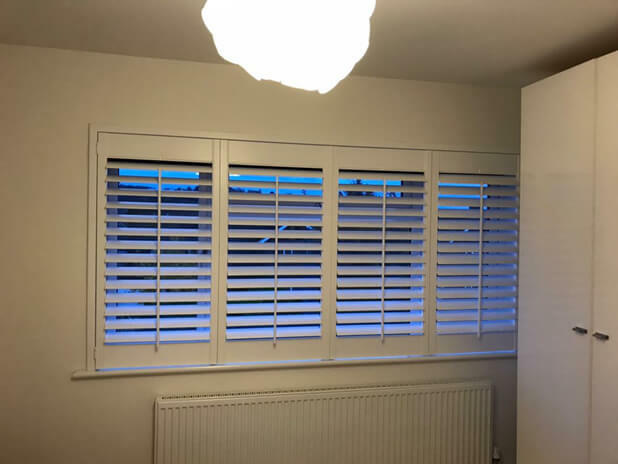 Our customer was very happy with the design and installation of all the shutters, complementing the different room interiors and creating a new look from inside and outside of the home. 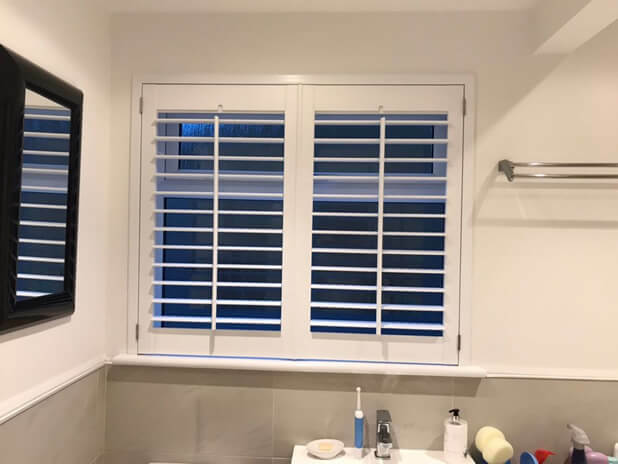 The shutters will also help with lighting and more importantly adjustment of privacy into areas where it is often needed.